Even when taking time off or enjoying a relaxing day it seems my mind’s usually ticking along about a project, book, plan, or something I’d like to do. It would be nice to be able to entirely shut off the nerve center in this respect at times, but then again perhaps that would render me sluggish, unproductive, and ultimately not the person I am. Keeping active, especially in areas that have interested for a long time is a satisfying way to continue learning, while satiating old passions. The launch of travel podcast Talk Travel Asia with my good friend and guidebook author Trevor Ranges is just such an endeavor. A sign of hitting the Big Time! My love of broadcasting goes back to when I was about 16-years-old. 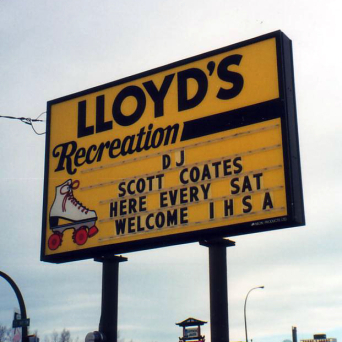 I was in Calgary, Canada working my first job at Lloyd’s Recreation, a roller-skating rink where I worked as skate-boy and in short order got my first chance to step up to the almighty DJ booth. It was a private daytime session for kids but I was hooked. From there I quickly ascended to spinning (literally – we used vinyl in those days) primetime Friday and Saturday evening sessions, then it was on to bars and clubs, college where I studied Radio Broadcasting, then finally a Communications degree with a major in Journalism. While I came very close to pursuing TV news, I headed to Thailand with a friend and $2,000 to start Smiling Albino (SA), a specialized travel company that was a big hit and consumed most of my time from 1999-2013. 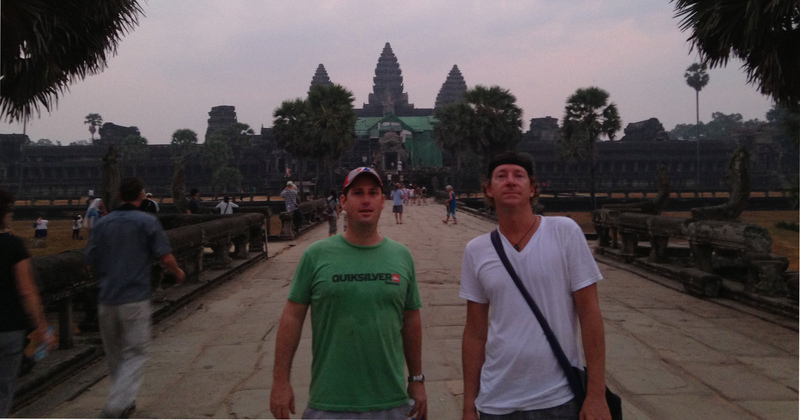 During my tenure at SA I blogged a fair bit, produced a few travel videos, but it was our travel podcast, Planet Asia, that reignited a spark. Chatting with people, asking them questions, ending up with a finished product that was in essence a radio show of sorts, was a lot of fun. It reminded me why I was originally drawn to study radio broadcasting all those years ago. 2013 came, I sold my shares in the business, moved to Malaysia and out of travel (for the time being). No longer actively working in tourism I found myself also missing that industry at times. Over one of our many discussions via Skype, chat, and in person, Trevor and I realized we were often talking story about travel, to the point we concluded it was time to create a forum and conduit to make better use of our discussions. A major interest was sharing remarkable connections we’d met throughout the region over the last 25-collective-years. Talk Travel Asia was born. Armed with a couple Yeti microphones to boost quality, we mapped out a few initial episodes, thought about some of our favorite characters we’d like to share with listeners, tried a couple tests, then laid down some episodes. It was fun. From 20 minutes, episodes quickly grew to 30, we were finding a groove, and I’d discovered a perfect way to stay connected to an industry that had been such a large part of my life for so long. I’ve observed over my years that you never know where a path in life will take you. Hearing peoples’ personal stories, where they’ve been, and how they’re here has always been fascinating. Who knows what tangent this podcast could send us along? Regardless, I’ve already accomplished my goal – just getting it going and having the forum to chat with my good friend about travel-related topics. It’s all gravy from here!